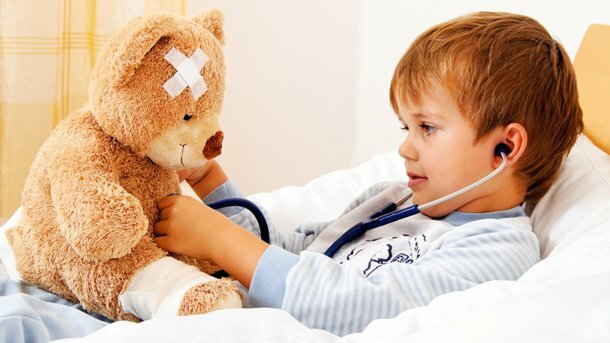 Good Childhood Infections – Coberly Chiropractic, Inc. Mothers around the world are armed with anti bacterial gels, sprays and baby blankets, diligently protecting their children from nasty forms of bacteria. But recent research shows that society’s anti bacterial and anti infection crusade makes children and adults more likely to develop asthma and allergies and perhaps even mental illnesses. Dr. Gerald Callahan, who studies bacteria and infectious diseases at Colorado State University, argues that all living things on earth must have infections to thrive, and society’s challenge is to sort the good infections from the bad infections. People’s love affair with anti bacterial products is changing and not necessarily for the better how immune systems, gastrointestinal systems and even nervous systems develop and function. “Microorganisms shape the lives of all living things and infections steer the course of the world. Most people understand that infections are at the root of many terrible diseases like malaria and leprosy. But infection may also play a significant role in many chronic aliments, including some that may surprise you such as schizophrenia, ulcers and obsessive compulsive disorder,” said Callahan, an immunology professor in the College of Veterinary Medicine and Biomedical Sciences and the College of Liberal Arts. What many people may not realize is that most infections ensure our health instead of compromise it. Mitochondria are bacteria that take fats and sugars and make adenosine triphosphate, or ATP. Every action that distinguishes a living human being from a dead human being is dependent on ATP. “We need our bacteria,” Callahan said. Other research shows that sheltering a child from bacterial infections increases his or her chances of developing asthma and allergies. In fact, recent studies show that the more educated parents are, the more likely their children are to develop asthma and allergies possibly because these parents are more likely to worry about bacterial infections. Of course, parents want to protect children from infectious diseases. Callahan draws an analogy between how parents teach their children to recognize unsavory characters and how society must differentiate good from bad bacteria and infectious microorganisms. “We understand that part of becoming an adult is learning to interact with people and recognize both bad and good in those people. The same is true for bacteria and other infectious microorganisms,” he said. Humans have 10 times more bacterial cells in their bodies than human cells. Without bacteria, there would not be humans. Human life depends on certain infections. Not long ago, all staph infections responded to methicillin. But within a few decades of the widespread use of methicillin, many staph infections are unfazed by this once powerful antibiotic and all of its chemical relatives. Callahan points out that there are more bacteria by far in this world than any other living thing. “We are a minority on this planet, and we must learn how to work with the majority,” he said.